Drones are becoming quite versatile as of late — not only are they delivering packages and life-saving medical supplies to remote areas, these unmanned aerial vehicles are also potentially a vital component for thwarting terrorism, stemming illegal poaching, or forming the basis for user interfaces to control programmable matter. 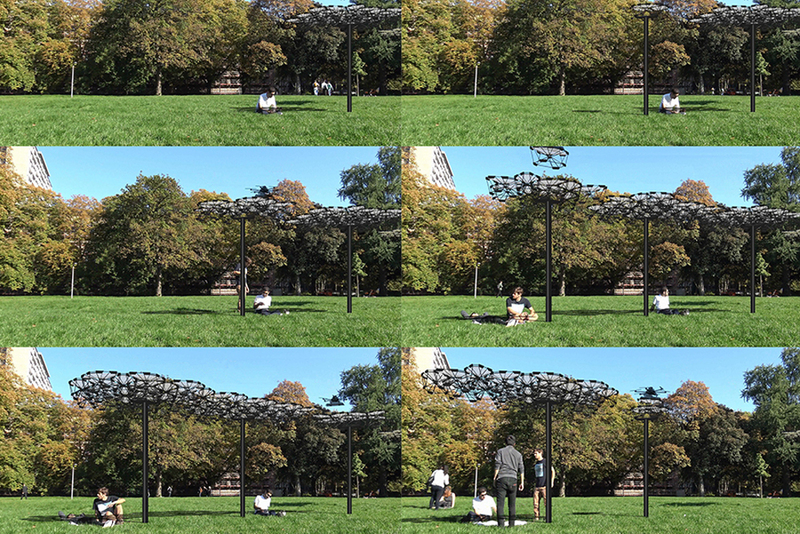 The project, which is called Cyber Physical Macro Material, was recently built and tested as part of master’s thesis by ICD students Miguel Aflalo, Behrooz Tahanzadeh, and Jingcheng Chen. 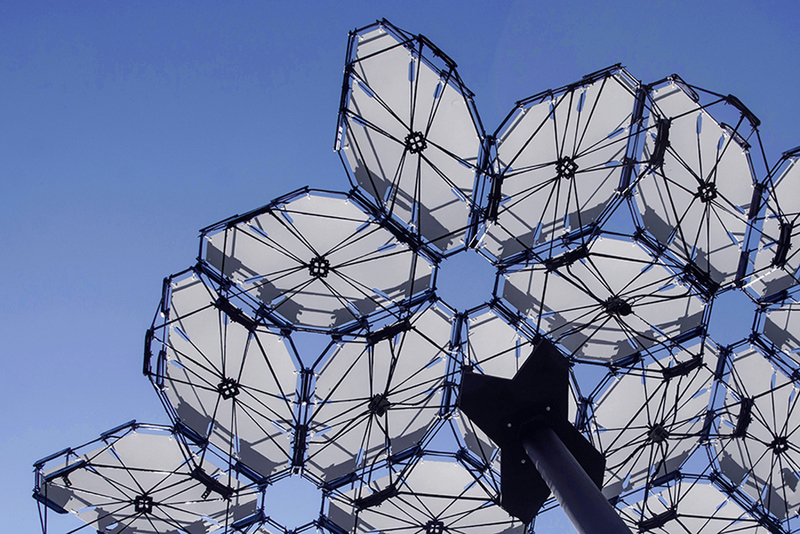 It consists of a 2.5-meter (8.2-foot) tall canopy-like structure that is actually made up of twenty individual modules — each created with lightweight carbon fiber filament, along with integrated sensors and electronics for communication. In addition, the adaptable, modular system includes two drone “builders” that are capable of operating autonomously and automatically to move individual modules around, depending on what’s needed. 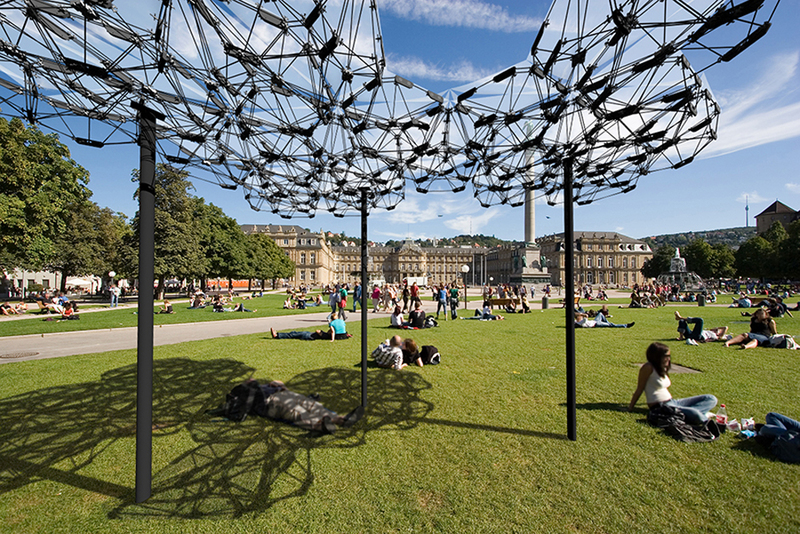 For instance, if it’s a sunny, hot day, the drone builders can be programmed to pick up and shift the configuration of the pavilion canopy around to create continual shade throughout the day, responding to the slow march of the sun in the sky. 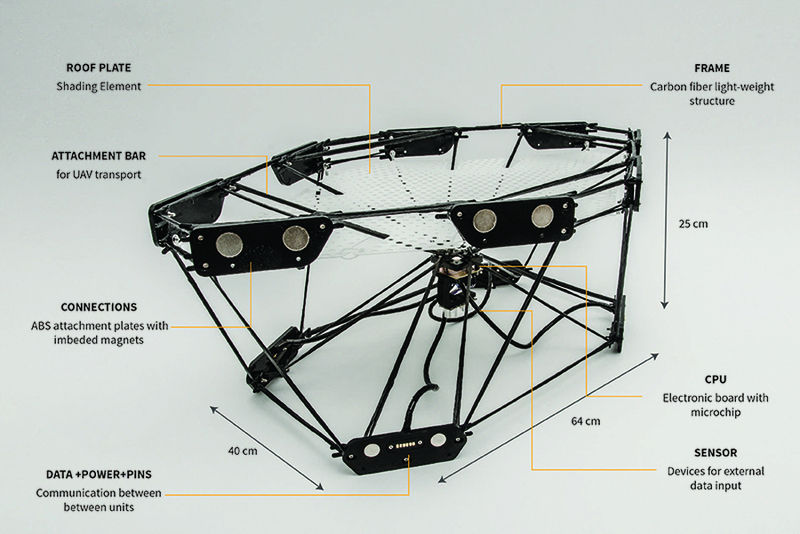 Taking a closer look at the modular units themselves, the lightweight carbon fiber skeleton forms a six-faced polyhedral space frame that has a polycarbonate sheet attached at the top. These units can attach to each other thanks to a series of neodymium magnets that dot the edges of the frame. There are also sensors and communication devices installed on each face using CNC-milled connector plates that allow the transmission of data and power between units, plus a custom circuit board that is mounted in the middle. Custom navigation and control systems were developed to execute the delicate movements needed to detach, carry and attach the various components of the project. 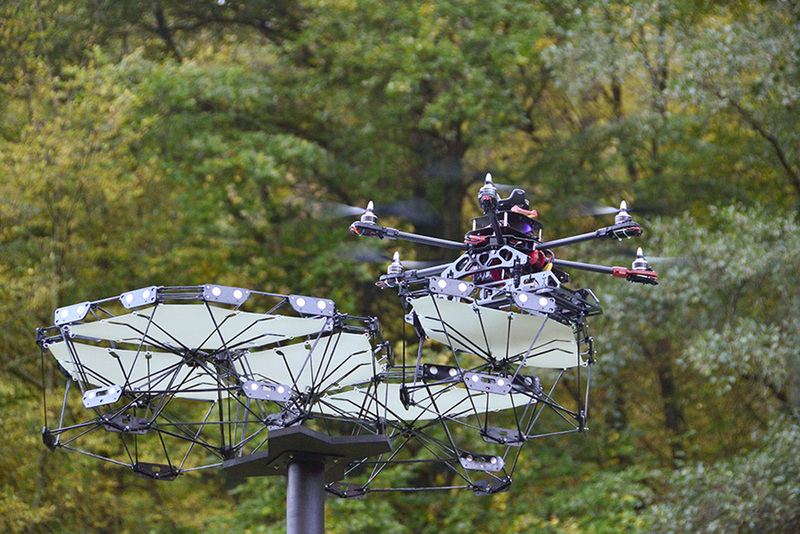 Each unit is weighed and assigned an electronic ID, with units communicating with the UAV builders via a hierarchical system of processors that are distributed across the canopy, in addition to being linked to a central command processor that ties the units, drone builders and human users together. 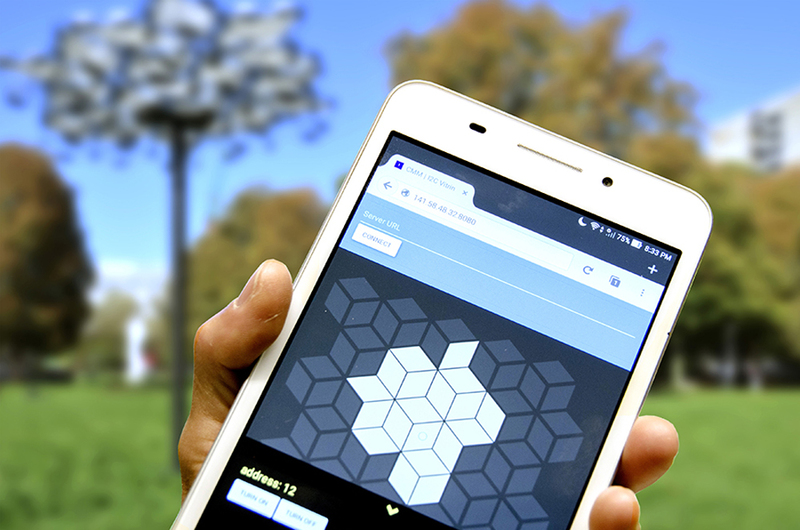 Furthermore, the team developed a smartphone app that people could use to direct the drones in reconfiguring the canopy’s layout, meaning that the structure could either transform autonomously or using manual inputs. As the team notes, the design emphasizes reconfigurability, but also takes into account ease of transport, cost, power consumption, structural strength, scalability and how well it performs as an architectural element. It’s easy to see such a system being scaled up to create a new kind of “agile” architecture that can adapt itself in real time, in response to various environmental factors, especially if it’s coupled with lots of raw data and machine learning. 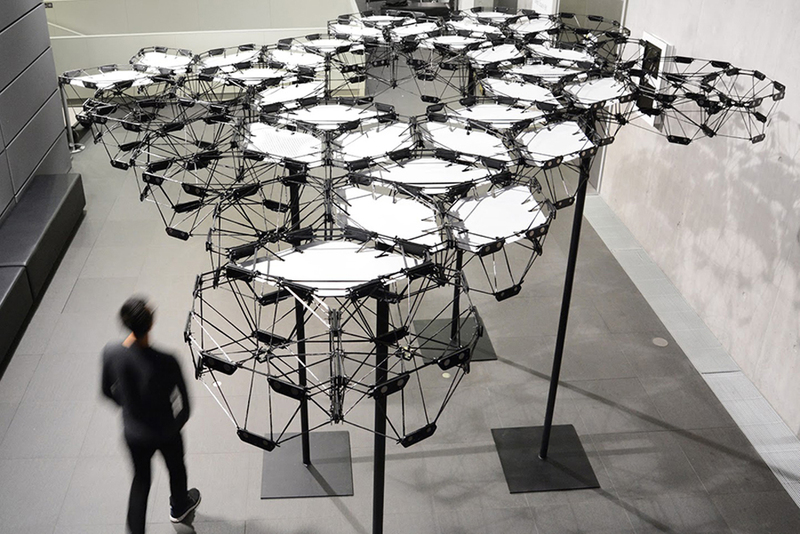 “With its ability to continuously reconstruct during use, the system challenges pre-conceived ideas of industrial robotic digital fabrication and sophisticated pre-fabrication for architecture,” wrote the team. It’s an interesting take on how architecture might someday become something that is dynamic and adaptive, rather than something monolithic and static. 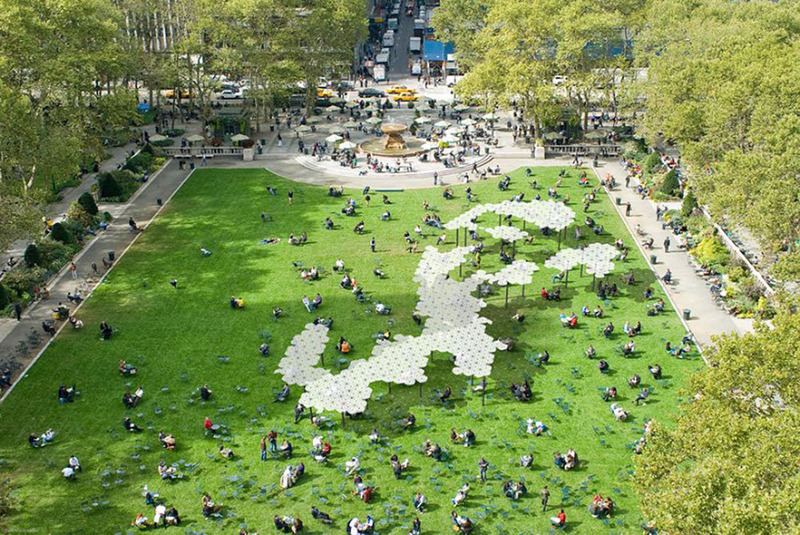 As the researchers see it, with this approach, our built environment could ultimately develop “learning behaviors” of their own, based on the various kinds of data they gather and the preferences of their users creating a much more responsive environment that would no doubt take some getting used to. Images: ICD/ITKE University of Stuttgart, M. Aflalo, J. Chen, B. Tahanzadeh.